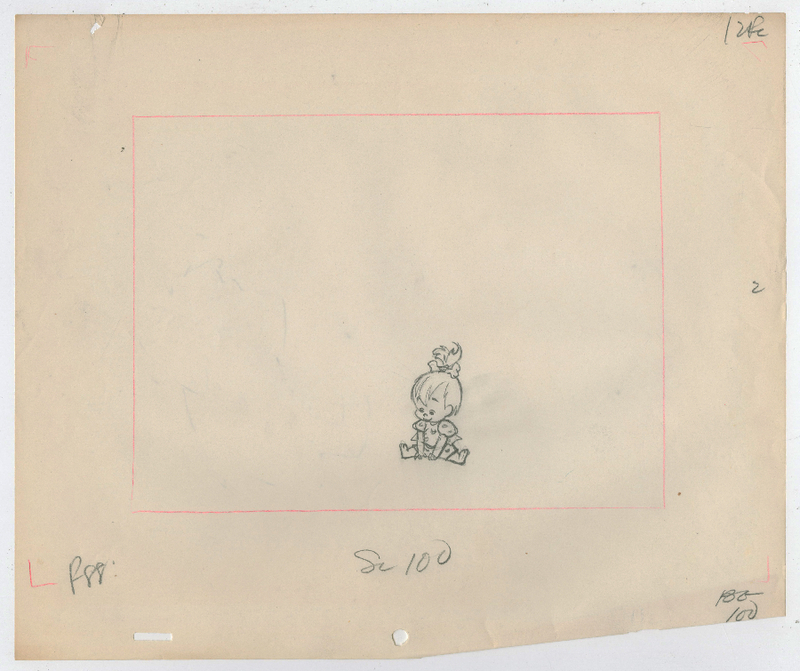 This is an original layout drawing from the Hanna Barbera Studios production of the 1963 Flintstones episode, Swedish Visitors. 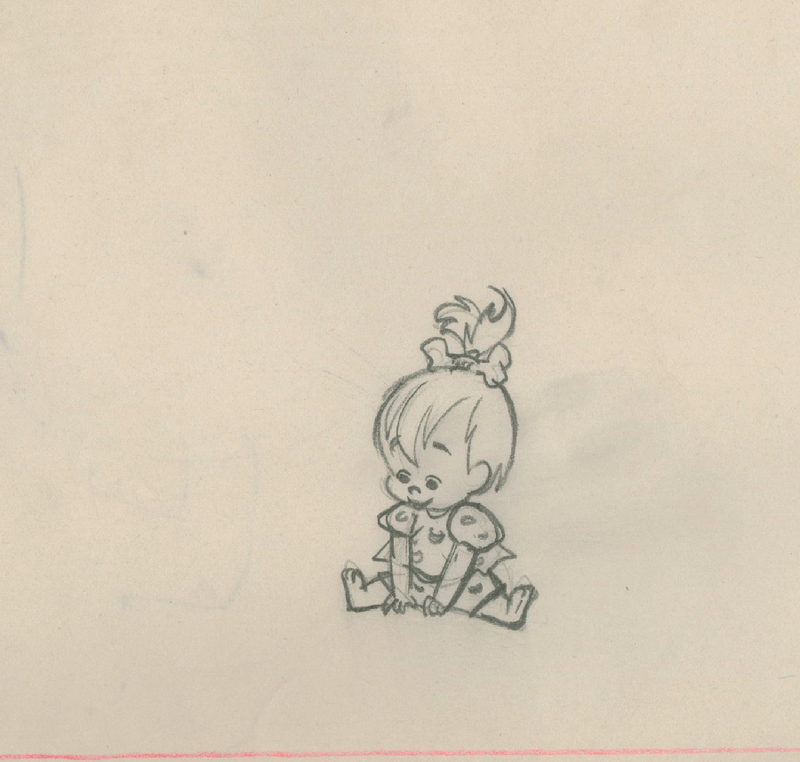 This layout features a very adorable Pebbles image, and was created at the studio and used during the production of the classic 1960s episode. The overall measurements of the piece are 10" x 12" and the image itself measures 2" x 1.25". The drawing is in great condition.